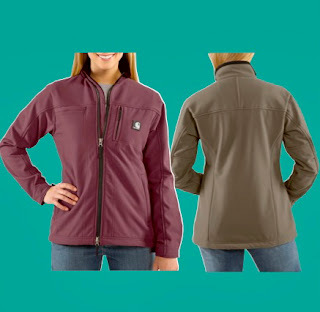 WJ176, Carhartt's Women's Soft Shell Jacket with a durable nylon shell with water-repellent finish bonded to polyester fleece. 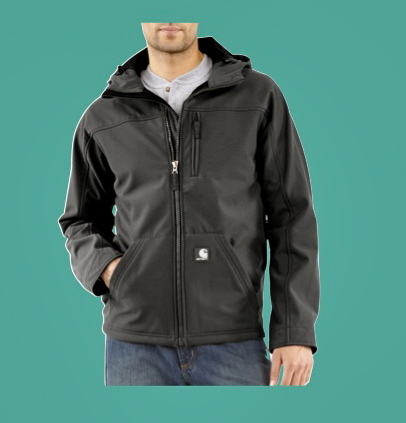 it is highly breathable, water resistant and windproof. It has two-way stretch for ease of movement, a heavy-duty two way zipper, a left chest map pocket with a zipper closure, a right chest pocket with hook and loop closure, two lower front pockets with secure zipper closures, princess seams for a fitted look, a drop tail for added coverage, pleated elbows, and an adjustable drawcord hem. Size medium back length is 27". It comes in XS, Small, Medium, Large, XL and XXL and in Shale Brown and Burgundy. Regularly $129.95 now $99.95. 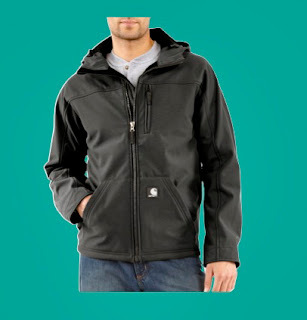 J182, Carhartt's Men's Hooded Soft Shell Jacket with all the same features as the women's soft shell jacket in black or olive in sizes Small, Medium, Large, XL and XXL. Size Large back length is 30". Regular price $139.00 now $109.95. Woolrich Women's Mountain Parka which has been a Woolrich favorite for nearly 30 years. The shell is a lightweight but durable nylon taslan coated with a durable water-repellent finish. Water beads up and rolls off the surface. You stay dry. 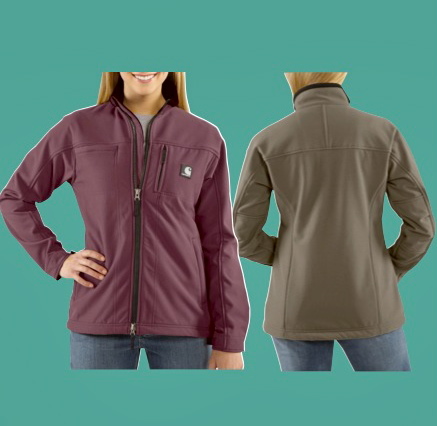 The two-way front zipper with snap-close storm flap seals out wind and cold. It is lined with a lightweight wool blend that retains body heat. Other features include dual-entry pockets, adjustable drawcord waist, adjustable hook-and-loop cuffs, removable hood and an internal security pocket. It is machine washable and regularly sells for $99.00, now $75.00. We have sage green in the store. The sale is limited to items currently in the store.